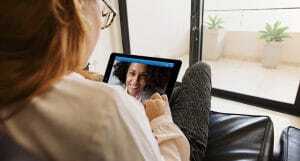 As the digital realm expands globally, providers leveraging telehealth can connect with patients who are otherwise unreachable, giving providers a competitive advantage. Patients who begin with a virtual exam and diagnostics may develop relationships that could lead to direct care. Providers can see patients with chronic diseases at home for cost-effective health care maintenance. Telesurgery is a very “hands on” form of telemedicine, with surgeons using robots to operate remotely. While these robotic surgeons are truly cutting edge, most people are not likely to be operated on by a robot today. However, surgeons are still finding telemedicine to be a useful tool in practice. Many surgical departments see telemedicine as a more convenient and cost-effective way to pre- and post- op for major and minor procedures. Surgical staff can give patients pre-op preparation instructions on telemedicine. As some surgery teams have experienced, patients may misinterpret or forget important instructions about stopping medications before the surgery. With clear instructions delivered prior to surgery, telemedicine reduces patient no shows and saves valuable scheduled operating room time. For post-op patients, the use case is both clinical and educational. Physicians and staff can check the patient’s drains and bandages visually, confirming adequate wound healing withhigh-definition video. Through readily accessible remote monitoring and automated follow-ups, providers are empowered to deliver the guidance that many patients need as they go through the healing process. Continuous connection can ensure that patients are following their treatment plans as well creating needed adjustments. 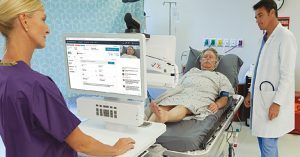 These virtual check-ins ensure the patient is on the road to recovery, reducing readmission rates all without the patient ever having to leave home. A colonoscopy may be a common procedure for gastroenterologists, but for the patient, it can feel monumental. For some patients, this could be the first serious medical procedure they’ve undergone. A quick telemedicine visit beforehand can help them talk through any anxiety or the amount of GoLYTELY they must consume. Patients arrive fully prepared for their colonoscopy, but it also builds patient loyalty and subsequently reduces system leakage. If patients feel like their hospital takes care of their needs and answers their questions, they will likely stay within the system. For gastroenterology, telehealth delivers advice and treatment follow up through patient portals, patient education through internet-based clinical content via emails and links, and disease management tools such as lifestyle guidance for illnesses such as inflammatory bowel disease. From stent placements to stress tests, cardiology departments deal with incredibly diverse tests and procedures every day. However, much like their colleagues in gastroenterology and surgery, faculty and staff in the cardiology departments can use telehealth visits to both prepare a patient before a procedure as well as monitor their progress afterwards. Telehealth can improve treatment compliance with daily monitoring and early intervention to address problems before they become acute. Home-based monitoring devices for blood pressure allow for close follow up in chronic conditions such as heart disease, enabling providers to capture and transmit clinical data. For patients with co-morbidities, telemedicine allows for collaborative monitoring of glucose levels and medication dosages in diabetes and other illnesses. Patients can equally be empowered to support self-management and to prevent avoidable hospitalizations. 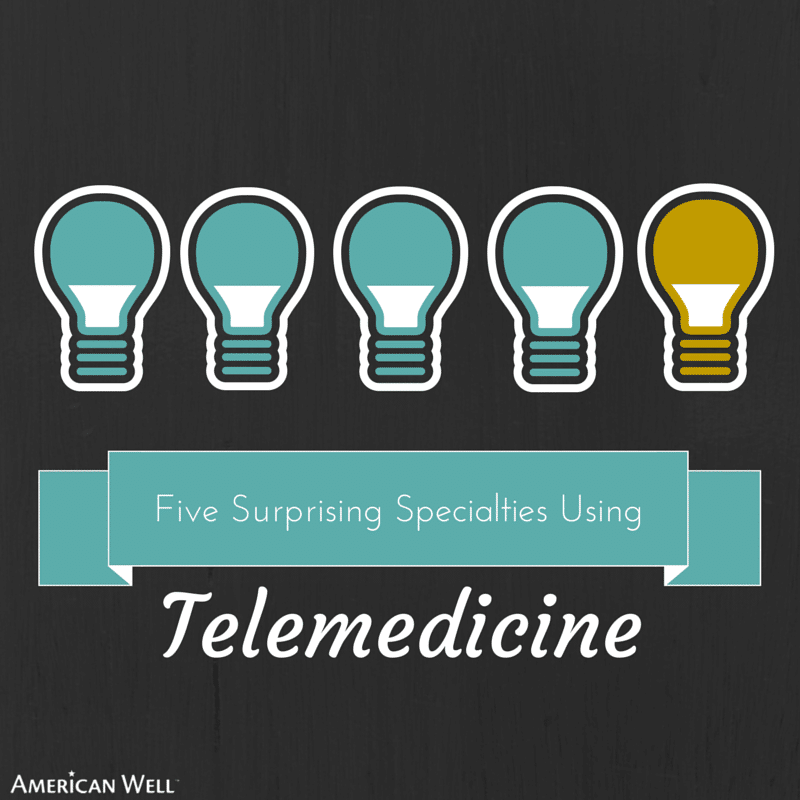 Psychiatry departments often find telemedicine can be more effective than in-person care. Inpatient units need to remain active, but for outpatient counseling, telemedicine can provide a convenient and comforting way for patients to get the care they desperately need. From the comfort of their own home, patients feel at ease in a way they might not in an institutional setting. Patient who appreciate these accommodations are often more likely to return to that hospital for the rest of their healthcare needs. 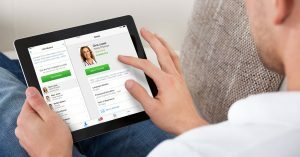 Providers can also address the problem of no shows by potentially connecting with the next available patient for a real time on-demand visit. For psychiatrists, visits are enabled by forwarding notes to the collaborative care team. By transmitting notes between providers, health professionals can consult and collaborate virtually with patient and other clinicians, regardless of geographic location. The result is a cost-effective alternative to physician office visits, increasing provider caseloads without increasing their workloads. Geriatric patients stand to benefit tremendously as a digital health care consumer. As mobility can be especially difficult for these patients, the ability to see a physician remotely removes a huge barrier to care. With telemedicine, geriatric departments can more quickly spot at-risk patients post-discharge and provide interventions to avoid an otherwise unnecessary readmission. Similarly, nursing homes can partner with health systems to provide bedside care for their residents at a fraction of the price of an onsite physician. These infrastructure synergies provide connectivity with electronic health records (EHRs) and create clear communication among hospitals, senior care facilities, referring physicians, and patient families. They also provide the link to population based management databases and other health care analytic functions to measure value. In the past decade, many industries such as banking and transportation have already transformed their business models via the internet and mobile technology, and the health care industry is poised for this change.